We live in a fast-changing world. Every business must change and act fast to be in the front row of their industries. Businesses who can take the first important steps and act would enjoy the first mover advantage. To find these important first steps is not that easy. If you can take that first important step, your business would be a leader for many years to come. The irony is, the first step never ends. You always have to take that important first step to stay ahead of the competition. What’s this first step I’m talking about? In the business and startup world, it’s called growth hacking. Growth hacking is the first step. You need to begin doing growth hacking to continue developing your business. You need growth hacking to capture new markets and dominate the world. There’s no end to growth hacking. Even an established brand like Facebook is constantly growth hacking. That’s why its number of monthly active users has been increasing every quarter. In a world that’s changing so fast, growth hacking is the surest way to learn about your customers and win them for life before your competitors do. If you’re an entrepreneur, founder, employee or you’re part of a growth team in a startup or developed business you still need to learn growth hacking. The knowledge of growth hacking will serve you for life. You’ll learn everything you need to know about growth hacking right in this guide. Growth Hacking is one of the most misunderstood terms in the digital marketing world. Sean Ellis first coined the term “growth hacker” in a blog post in 2010. “Airbnb does just this, with a remarkable Craigslist integration. They’ve picked a platform with 10s of millions of users where relatively few automated tools exist, and have created a great experience to share your Airbnb listing. It’s integrated simply and deeply into the product, and is one of the most impressive ad-hoc integrations I’ve seen in years. 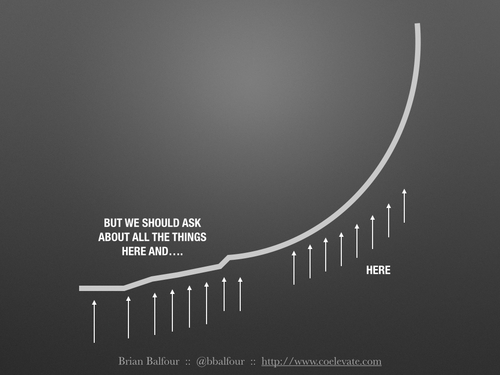 What’s growth hacking really about? Before you can fully understand what growth hackers do, you must know what the term “hacker” really means. A hacker is more concerned about achieving a goal than following a prescribed process. Hackers care more about what needs to be done than how it should get done. As a result of this, hackers often come up with innovative ways to achieve their goals. For example, hackers could be trying to gain unauthorized access to your computer system. They don’t really care how they do it as they are too many ways to achieve this goal. As long as they get access to your computer, that’s all they care about. Hackers need freedom to do their job. Hackers will find it tough to succeed in an environment where they require permissions to do things – which explains the reason why they rarely thrive in big companies because they are too many authorities. If a team of growth hackers is tasked to achieve the goal of 10,000 users for a product, to them, they either achieve it, or they don’t. How they achieve the goal is almost irrelevant. This is what differentiates traditional marketers from growth hackers. Marketers are mostly required to use marketing strategies like SEO, PPC, Social Media, and others. 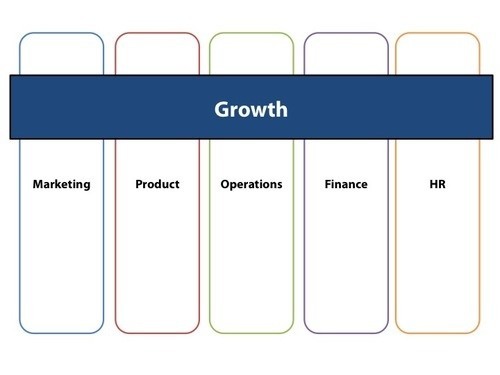 But a growth hacker isn’t limited to all these. In fact, they are a lot of non-marketing decisions that affects user growth. Growth hackers care so much about these decisions too. Growth hackers should have the freedom to work in several different departments that make the big decisions down to the ones that make the tiniest decisions. 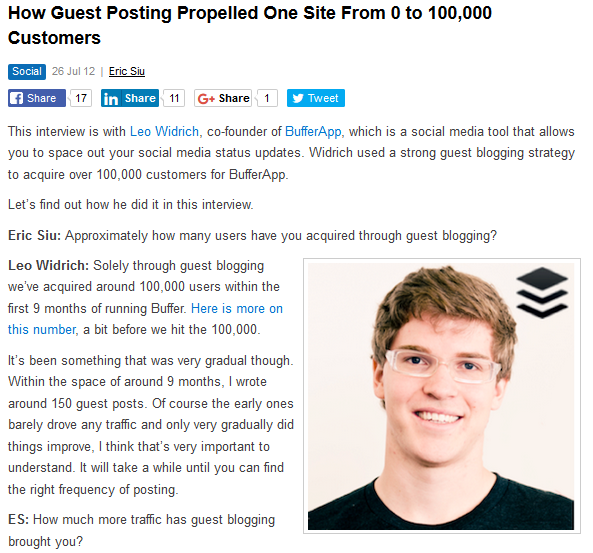 Buffer acquired their first 100,000 users solely through guest blogging. Even today, only a very few people would be willing to use guest blogging as their growth strategy. Buffer quickly discovered that appearing on established blogs would aid their growth. They stuck to it until it helped them hit 100,000 users. They’ve since changed strategies, but the business kept growing – that’s the power of growth hacking. You keep on finding new ways to drive growth. A lot of people were surprised when Instagram announced having over 90 million active monthly users with over 40 million posts per day in 2013. How could they have achieved those dream numbers? 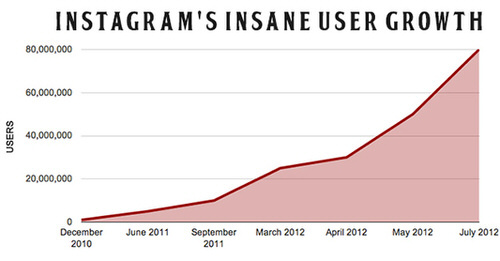 Instagram had less than a dozen of employees back then. Their small size didn’t stop them. What helped them achieved those gigantic numbers is that the team focused on perfecting their product, and that was what drove their growth to great heights. The users they had loved their product and became word-of-mouth advertisers and advocates for them. That was growth hacking for them. 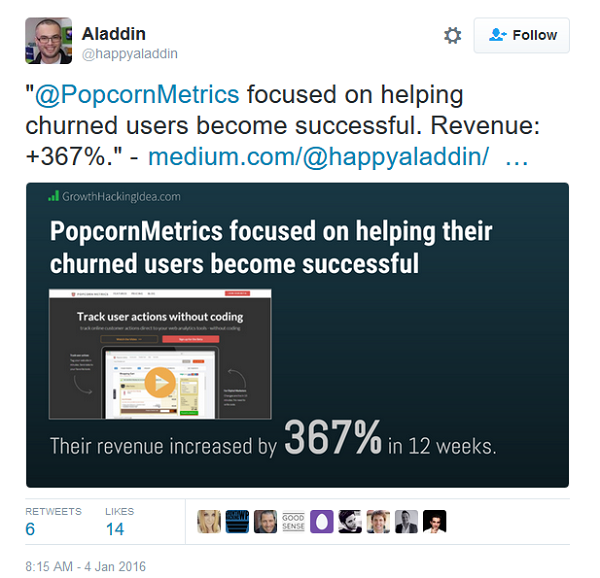 PopcornMetrics boosted their revenue by 367% in just 12 weeks. They focused on helping their churned free trial users become successful in achieving their goals by using their product. As a result, they created lots of helpful texts, videos, tutorials, onboarding emails, FAQ section, etc., which boosted their conversions. That is growth hacking for PopcornMetrics. Although the term “growth hacking” was coined in 2010, companies have been using the growth hacking concept long before then. Successful companies like Facebook, Uber, Airbnb, Hotmail, and Dropbox all growth hacked their way to success. Anyone can learn growth hacking. Anyone can do it. It doesn’t matter if you’re an employee or founder, an entrepreneur or a VC. Let’s take a look at how growth hacking has quickly developed over the past years. I think I mentioned that already above. In this blog post, Sean talked about the importance of finding a growth hacker for your startup because growing your business is really what matters in the early stage. “Typical job descriptions are often laden with generic but seemingly necessary requirements like an ability to establish a strategic marketing plan to achieve corporate objectives, build and manage the marketing team, manage outside vendors, etc. Generally speaking, the job requirements/skills mentioned above are not paramount for startups in or before the early growth phase. 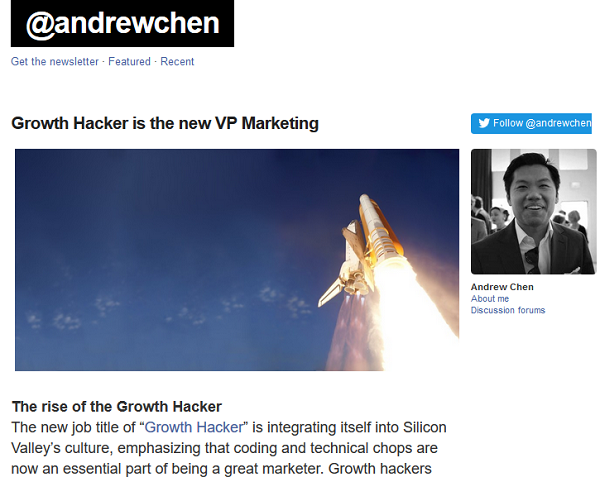 This article went viral as it received thousands of social shares that took the term “Growth Hacker” from an unknown to a popular phrase. “The new job title of “Growth Hacker” is integrating itself into Silicon Valley’s culture, emphasizing that coding and technical chops are now an essential part of being a great marketer. Growth hackers are a hybrid of marketer and coder, one who looks at the traditional question of “How do I get customers for my product?” and answers with A/B tests, landing pages, viral factor, email deliverability, and Open Graph. September 2012 – As every startup founder started to believe that growth hacking is the new way to make their product successful, Andrew Chen came back with this post to warn that the concept isn’t a solution for all. “Startups don’t need growth hackers – at first. They need products that are really working in the market. This means users love it, that there’s lots of retention and engagement, even at small numbers. The reason for this is that ultimately working on scalable growth is an optimization problem. After a few months of growth hacking craze, people needed this article to remind them that they still need to build a product that people are really interested in. This article was published on TechCrunch, so you know it’s always going to be successful. October 2012 – Erin Turner and Gagan Biyani host the first Growth Hackers Conference in Menlo Park, California. There were notable speakers such as Chamath Palihapitiya (Founder, Facebook Growth Team) Sean Ellis (coined the “Growth Hacker” term and founder of Qualaroo) Andrew Chen (Growth Hack blogger) and a host of others. Even after this event, the difference between growth hacking and marketing isn’t still clear to many. “At the core, marketing is lead generation. Ads drive awareness…to drive sales. PR and publicity drive attention…to drive sales. Social media drives communication…to drive sales. Marketing, too many people forget, is not an end unto itself. It is simply getting customers. In this article, he lays out that marketing isn’t really different from growth hacking, but just with a twist to it. 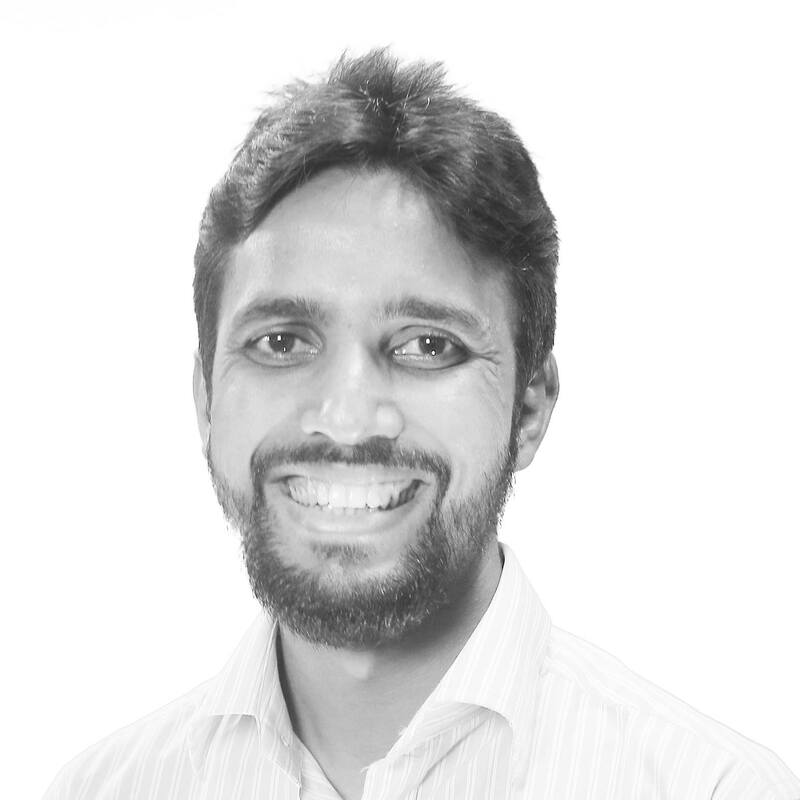 Gagan went further to say that startups do growth hacking, bigger companies do marketing. Startups are organizations with extreme uncertainty. Startups are designed for astronomical growth. Startups don’t have access to the same resources or brand equity. In this book, Ryan shares points like how to find your growth hack, going viral, customer retention, optimization and a host of other things. The book got hundreds of reviews as growth hacking continue to dominate the startup and marketing world. The book shared case studies of successful companies like Yelp, HubSpot, Evernote, LinkedIn, SnapChat, Uber and more. Even the top marketing experts still don’t fully know what growth hacking is, and what it isn’t. They’ve been a lot of right and wrong information about growth hacking published on the web over the past few years. My goal with this guide is to help you learn and apply growth hacking to your startup. But there’s no way you’ll be able to efficiently growth hack if you still don’t understand how to deal with the myths because they are a lot of them out there. Growth hacking is a good way to grow a business. That is when you’re growth hacking before your product is even ready. A startup that is still building or beta-testing its product shouldn’t be growth hacking just yet. Instead, the startup should be entirely focused on building a great product that people want. I must also emphasize that there’s a big difference between creating the perfect product and creating a product that people need. Some people use this advice the wrong way. They would spend months developing a product, then more months trying to make it perfect. Because growth hackers would do anything to achieve their goals, people are starting to believe that they can involve themselves in some illegal schemes. If you go out violating the law for the purpose of growth hacking, you’ll have to face the penalty for that. Growth hackers are very aggressive, but careful. For example, in one of the email marketing laws, it states that the sender should give a real postal address. This helps to show that the business is credible. Some people might want to continue sending emails when the recipient has opted out, doing it all in the name of growth hacking. If you use platforms like Facebook, Twitter, and Google to do growth hacking, you’ll realize that these sites have their rules. You must play by the rules, or you’ll be kicked out. Rules govern everything we do online just as it is offline. There is a lot of wrong information out there that depicts growth hacking as acquiring more customers. It’s easy to believe this myth. While it’s true that growth hacking is about going from 1,000 – 10,000 customers, the truth is growth hacking is more than that. Growth hacking is also about growing revenue. You can increase revenue without growing the number of customers you have. In fact, you could increase revenue by reducing the number of customers you have right now. I see revenue as the primary purpose of growth hacking. What’s the point of growing the number of conversions or customers if it doesn’t increase revenue? There’s no point, of course, so growth hacking is all about money. If it doesn’t increase your revenue, then it’s definitely not something you should be doing. It’s all about growing something, though this mostly depends on your goals. Coined in 2010, growth hacking really started trending in early 2013, and interest in it has been going very strong since then. The term “growth hacking” may be very new to a lot of people, but the concept has been existing for a long time. Companies such as Facebook, LinkedIn, Bebo, Slide and Hi5 all have growth teams before the term. Growth hacking is all about experimenting, trying to see if something would work for your business or not. While growth hacking involves running tests upon tests, most of these tests shouldn’t be coming from a mere guess. There are lots of things to take into account before testing any strategy or tactic, seeing if it’ll work. Your tests have to come from real data rather than predictions. For example, let’s say you run a shoe store, and you realize that most of the visitors from your PR campaign aren’t converting. Should you move on to the next tactic and guess that it’ll give you a better ROI? Or, should you re-design your website to help you convert more visitors from your PR efforts? We surely don’t know what’s next to do. The above are mere guesses. You need to make an informed decision rather than the one based on a guess. This is where real data comes in. You need data to make the right decision. For example, it could be that most of the visitors from your PR campaign quits when they get to the last step of your checkout process. A tool like Google Analytics will tell you which page where most of the visitors are exiting your website. It could also be that they don’t see your call to actions. 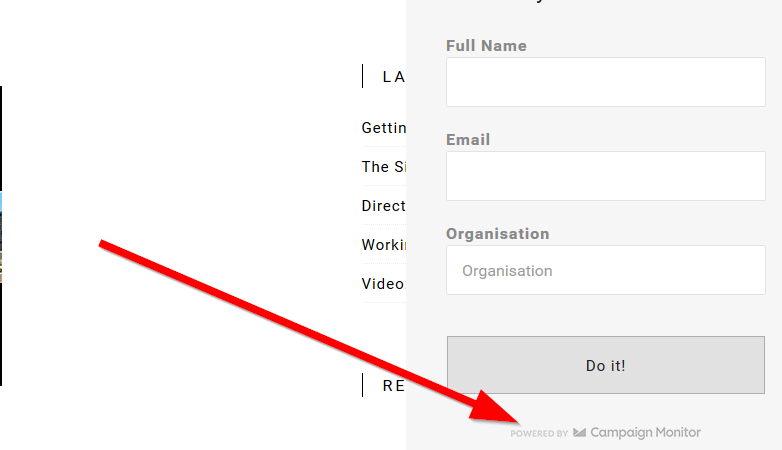 Or, the page is filled with too many call-to-actions that visitors don’t know which button to click. A click map tool from Crazy Egg tells you where most of your visitors are clicking and at which point they are exiting your pages. You could also collect feedback by doing on-site surveys, and use the information collected to improve the user experience of your website. You can’t just guess why visitors from your PR campaign aren’t converting. Your decisions should be based on facts. Growth hacking comprises a lot of skills like designing, basic coding, a sound knowledge of spreadsheet, digital analytics, A/B testing, copywriting and a lot more. But a growth hacker doesn’t necessarily need these skills. In fact, a growth hacker can be anybody as long as they have the growth mindset. A growth hacker connects all the people who have these skills together. He explains to them the goals for the startup and what he wants each person to do to contribute to the goal. What you need to be a growth hacker is to be smart and have ideas that can steer the startup forward. You can always hire a coder to implement your ideas. Because a growth hacker deals with a lot of things, it could also be that you want to change the design a little bit. All you need to do is to lay out the instruction to the designer. Because growth hacking requires a lot of skills, it’ll be wrong to say one individual has all the required skills. Many times, two or more individuals could be working on the same growth hacking goal. Imagine this scenario where a growth hacker talks to everyone about event-based analytics and why they matter. The growth hacker then makes a list of every event he wants to track on the product. Then he shows them Google Analytics, his tool of choice. He tells the developers where to find the documentation which will help them track events on their product, and then he leaves them to implement the code. Some weeks passed and the growth hacker called a team meeting. He uses the data that has been building up to create a funnel. He lays out some goals for each step of the conversion process. The growth hacker wants to know where most people stopped in the funnel and why. In the end, the growth hacker discovered the page where conversion is leaking in the funnel, and figured that the copywriting isn’t clear enough, or powerful enough, so he asked the copywriters to craft some new copy, and the front-end developer makes it look beautiful on the site. The conversion rate goes up by 7% for that part of the funnel, in the most recent months. Who is responsible for that growth? Everyone in the team is responsible for the growth. Even though the programmers made the site look beautiful and the copywriter wrote the new copy, there’s no way they’ll have been able to achieve that growth without the growth hacker. The growth hacker fueled the growth. He made them work together as a team, something that wouldn’t have been possible without the growth hacker. 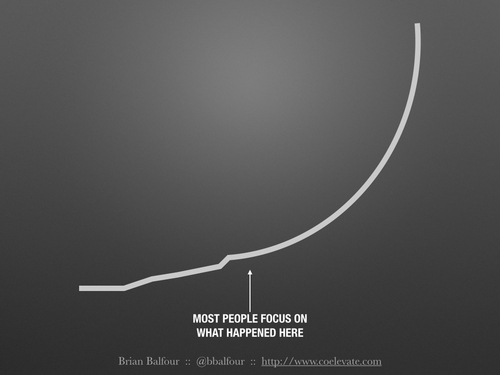 So as you see from the example, growth hacking is more than just one person. It’s about a team of talented individuals working towards the same goal. Growth hacking is entirely different from marketing. There’s no way a marketing team would need a programmer, designer, or engineer on their team. Can you now recognize the big difference between growth hacking and marketing? The growth hacker could be involved in almost anything within the company. A marketer would not. The growth hacker enjoys an unparalleled freedom within the company. In fact, they could even determine the product pricing. Marketers push the word out about a company. They don’t have any influence on the product. Take for example a company like Dropbox. 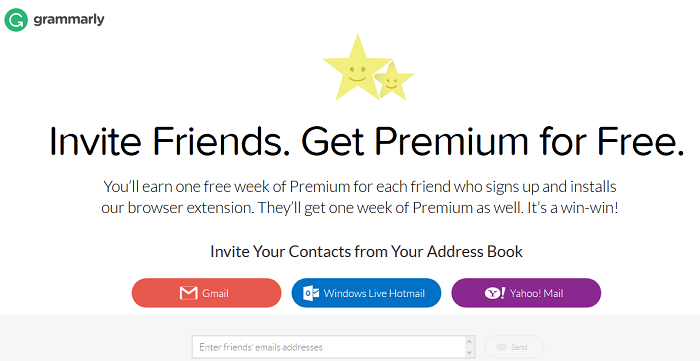 The company used a referral program to expand. They say “join for free and get 2GB”, and if you want more, invite people to join. Once they signed up, you would get 650MB for every successful signup. 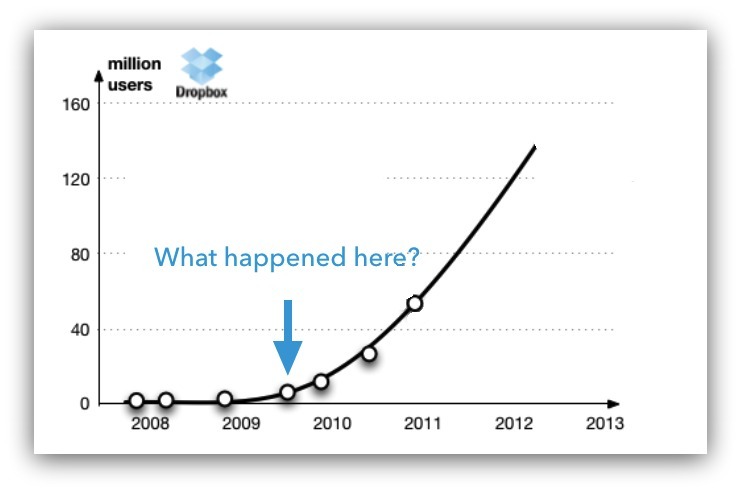 That’s the work of a growth hacker at Dropbox. If it had been a marketer, they would have just done social media, SEO, placing of billboards on streets and TV adverts, among many other marketing strategies. Growth hacking takes a series of steps. You don’t achieve growth overnight. Maybe you’ve read about successful companies who came out of the blue. Suddenly, everyone is talking about them – your friends, family, and colleagues. For example, it took Dropbox a lot of experiments to become successful. One tactic or experiment wasn’t responsible for their success story. Are you ready to learn the growth hacking process that will take your startup to the top? Goal setting isn’t a new idea. A lot of books have been written on goals already. Goals are what separates the struggling startups from the successful ones. You have to be crystal clear on what you want growth hacking to do for you. It’s difficult, and sometimes impossible for growth hacking to achieve different goals at the same time. For example, when you’re trying to increase customers and at the same time retain more customers. While this isn’t impossible to achieve, sometimes, reports and efforts could become conflicting that the startup could easily lose focus. In this case, the true idea of growth hacking is lost. If you’re just starting out, it’s better you focus on one goal at a time as this would aid growth much quicker. There’s another problem which is setting the wrong or bad goal. For example, saying you want to grow your startup by 30% in the next 12 months is wrong. Instead, you should narrow the goal down. As you can see now, the goal looks much clearer and better. The goal is more actionable. Of course, there are many ways to grow a startup by 30%. There are many ways to increase customer retention. There are many ways to educate customers. There are many places to post videos online. (Facebook, Twitter, and Instagram now host videos on their platforms). You could also decide to post all the videos within a month. Growing your startup by 30% would have been difficult within the 12 month period if you don’t settle on specific tactics you want to use to get there. I’ll admit that there’s nothing like the perfect goal. You could stop posting videos on YouTube after the first month when you realize that many of the videos aren’t educating customers. You could also decide to move to Facebook instead. And if it works great and generated good results, then you might want to continue with that. You could also reduce the videos from 9 to 5 when you realize that it costs more than you can afford. Your growth hacking goal may require constant tweaking, but the aim itself isn’t different, which is to grow your startup. No matter what your plan is, it should be moving your startup forward. If doesn’t in the first two months, I don’t see anything bad with changing or tweaking it. Any startup that lacks a specific growth goal is like someone who left the house with no real destination in mind. Tracking your goals is as important as setting them. Imagine that someone has the destination, but at a point they can’t say how many miles they’ve walked and how many miles left to reach their destination. Does that look like a good situation? I’m sure your answer is no to that. The good news is, you have all the automated tools you need at your disposal. Manually tracking your goals is time-consuming and boring. You don’t need that. You have the automated tools you need in various analytics that serve different purposes. No matter what you want to track, there’s a web analytics tool for that. These tools will help you know if you’re growing your startup or not. 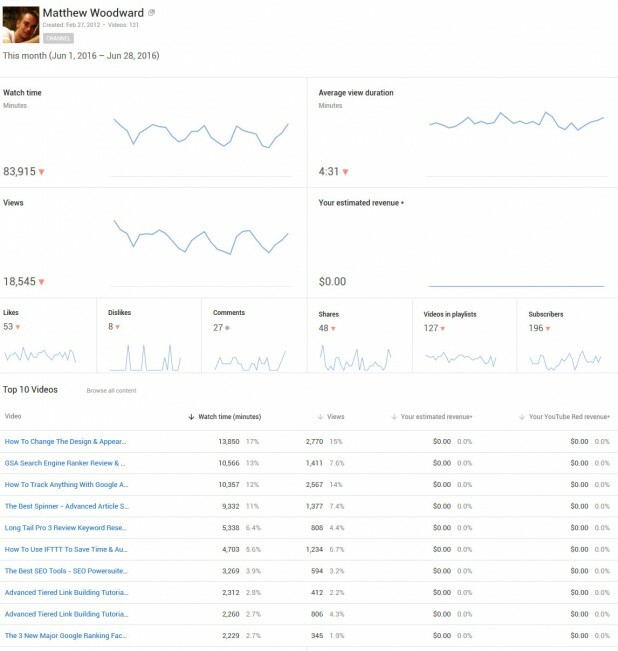 In the case of the goal used in the above example, YouTube will provide you with most of the stats you need. For example, YouTube will tell you how many times your video was watched, the number of comments and favorites it received, and number of likes and dislikes it has. You can also use the comments on your YouTube videos to create better videos for your customers. Depending on the metric you want to track, there are tools to help you. Ensure that you install your web analytics tool of choice before you start. To succeed in anything in life, you need leverage. Don’t start looking for some magic solutions, or secrets, or resources. Instead, look around you, and use what you have right now. That’s leverage. When you use the resources within your reach, you’re leveraging. Leveraging is a smart way to move quickly from Point A to Point B. In the growth hacking world, we leverage. We leverage our current connections, space, resources and tools. We use everything available at our disposal. “Leverage” is a popular word in the finance world. It means a borrowed capital. But in the startup world, that doesn’t matter at all. As long as it’s available at your disposal, and could move you forward, you use it. Facebook launched using Harvard’s network of students. It wasn’t a social network for everybody. 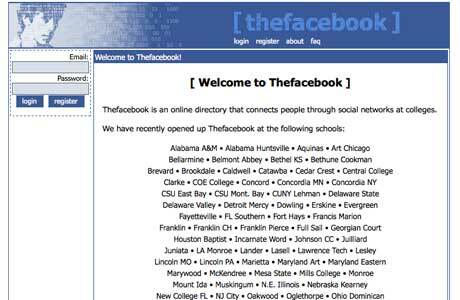 It was a social network for students. Through this, it was able to gain a massive amount of users. Then it moved to other campuses. Then it captured the world. They would automatically cross post to Craigslist (which Craigslist later blocked), helping to spread word of the service very quickly. Zynga launched its best-known game, FarmVille, on Facebook in June 2009. The game reached 10 million daily active users (DAU) within six weeks. 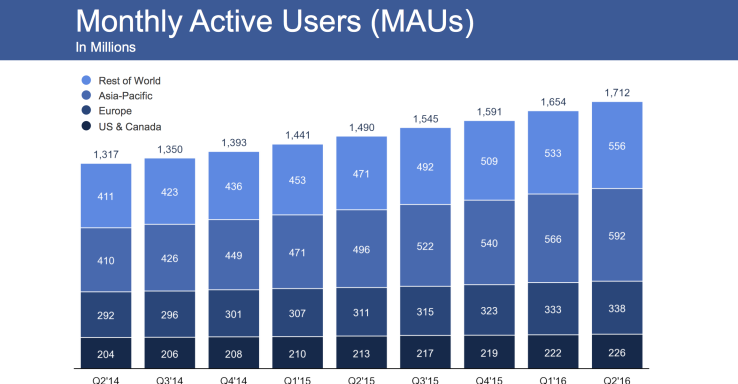 Zynga didn’t need to find users for FarmVille because Facebook has the users. Uber leveraged smartphones in users’ pockets to revolutionize the cab industry. I’ll assume that you’ve already developed your product, but that doesn’t mean you shouldn’t find leverage. Most of the growth hacking tactics you often heard about are purely leverage. It could be that you own a small blog that receives 10,000 visitors per month. Think of ways you could leverage your blog to drive growth for your startup. Maybe you have an email list of 20,000 subscribers. What if you create interesting emails about your startup and send it out to generate massive interest and feedback for your startup’s product? In fact, it could be that you’re connected to some people who could connect you with some people, and who could connect you with the right people that would help you grow your startup. Leverage is an important part of the growth hacking process. If you can find a rock-solid leverage, it means you’re ready to grow. Find the strengths you have right now that can help you build a successful startup. Again, I’ll like to say that “growth hacking” isn’t really new as many people portray that it is. Few marketers have been using the idea for a long time, and they’ve been reaping huge rewards with it. Growth hackers come up with new ideas and test the hell out of them. If it doesn’t work, they move on to the next idea, and test it! If it works, they integrate that into their marketing plan. What sets them apart is they still won’t stop there. They will go out and experiments some more. The more they experiment, they discover more ideas to add into their growth plan. That’s how they achieve consistent growth month over month and year over year. Facebook and LinkedIn are now successful, but they still conduct new experiments to help them grow. Startups must never get complacent. They should continue experimenting too. An experiment may generate a small growth like 2%. This may not look too big, but when you can conduct like 10 to 20 tests that give you an average of 2% increase, you’ll have grown by over 20 – 40%. Many of these experiments will come from gathering ideas. Some ideas will look foolish. Some will look so likely to contribute growth. Make sure you put everything down to writing. The truth is you don’t really need a big idea. If a small idea can lead to a little growth, and you multiply that by many times, it naturally brings growth. I have a special place and time I’ve dedicated to doing nothing else but come up with ideas. At this place and time, I sit down and relax my head, then I start thinking of the little to big experiments I could run. It’s vital that you’re not filled with distractions like emails and meetings at the time you’ve set for coming up with experiment ideas. Gather as much experiment ideas as you can. Quantity is the king here. The more ideas you have, the better your chances of hitting the small and big ideas that will take your startup forward. Sometimes, I would come up with 50 ideas, while sometimes, I would barely come up with 20 ideas. I always make sure that I get as many ideas as I need no matter how foolish they may sound. One day I came up with the not-so-foolish experiment idea that I should attend meet-ups to get valuable customers for my service. In fact, most of my best customers came from those meet-ups. And to my surprise, many of these meet-ups aren’t even related to my industry. But I attended anyway, and was able to connect with some cool people who later bought my service and even refer some of their friends to me. 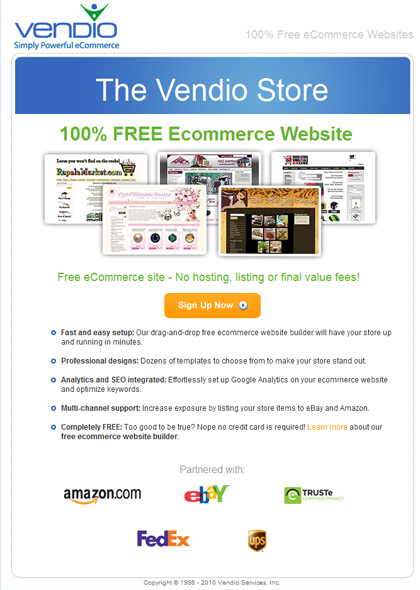 I read of a bold growth hacking experiment where Vendio, an Alibaba.com company that specializes in providing free e-Commerce stores to its merchants, hide their signup away and were surprised to discover that conversions went up by 60%. Who would have thought that signups would increase with such an experiment? 60% increase in conversions would surely have a big positive impact on the bottom line. Don’t stop creating, testing, tracking and measuring new experiments. Your startup growth will go north when you heed this advice. Just like traditional marketing techniques, growth hacking has its own funnel too. We call it growth hacking funnel. If you’ve ever put oil in a car, then you know what a funnel is. A funnel has a wide opening at the top, and as oil runs down it (sticking with our car analogy), the opening becomes smaller and smaller until the oil reaches the engine, which is the ultimate goal. Visitors must pass through this 3 main parts before becoming a customer. If you have a product or service where users have to go through multiple steps to convert, using a funnel is even more important for you. When you use a funnel, it’s easy for you to see where the majority of your visitors are dropping off. This enables you to see clear the weak point in your growth hacking funnel, and improve it. While they are 3 main parts of the funnel, sometimes you may have more because some parts have been broken into more steps. For example, the activate part may have 3 steps in it. So in this case, you could break the activate phase in the funnel into 3 parts increasing the funnel to six steps. The idea of the growth hacking funnel remains in this case. “Sign-up to trial” and “Login to account” are all still part of Activate in the growth hacking funnel. 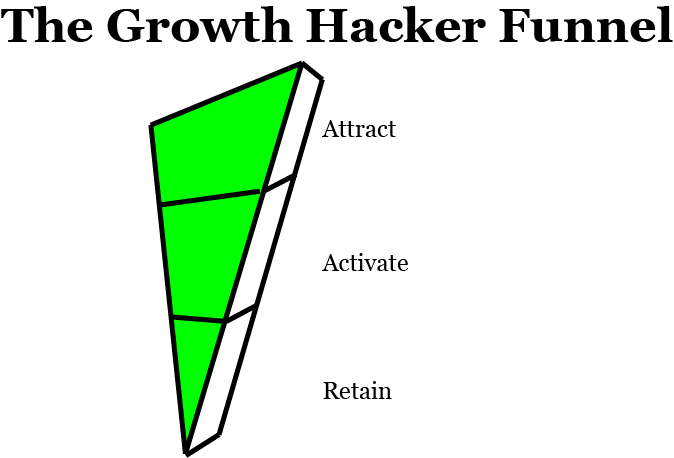 “Active,” “Paying customers” and “Staying customers” are part of Retain in the growth hacking funnel. The below content funnel, for example, still does the same work as a growth hacking funnel. I’m sure you now understand how the growth hacking funnel really works. Let’s talk about each part of the funnel. The purpose of this part is to get people to the top of the funnel. For example, when you go on a first date, your goal isn’t to get something out yet, but to help the other person know you better. Most of the people who enters the top of the funnel are strangers. You’ll have to start some sort of relationship with them if you want them to go further in the funnel. Activate is the process of converting a stranger into a customer. This is even harder than the first step. It’s not everyone who enters the top of the funnel would get to this stage. For example, let’s say you managed to attract like 10,000 visitors into your website, 25% to 35% may enter this phase. It could even be lower than that. For a site like Etsy, this activates phase might be where visitors start posting items or buying something. For a huge company like Microsoft, this could be where someone buys their apps like Microsoft Office, Xbox, and Skype for business. Retain is the process of making customers enjoy your product so they can keep paying for it. Retain is even harder than Attract which explains the reason why some customers would drop off. At this point customer support is crucial. That’s how the growth hacking funnel works. Very simple. How you would get a good conversion rate. Many startups with a growth hacking funnel are struggling today because they don’t know how to attract, activate and retain well. After clearing up this important point, you’ll be in a better position to understand the next point. Assuming you’ve attracted 100,000 visitors to your website, how can you get more than the industry average through to the activation stage? And maybe you’ve activated some, how can you keep more people using your service? Again, keep in mind that I’m not talking about how to attract, activate and retain now. My point is how you’ll attract, activate and retain more. How do you get good conversion rates from your attract, activate and retain efforts? A/B testing (or split testing) is a technique for increasing your website’s conversion rate (that’s its ability to turn visitors into customers). If you had two possible headlines for your page and you couldn’t decide which to use, you could run an A/B split test to see which works better. You create two alternative versions of your page (page A and page B), each with a different headline. A/B testing software directs 50% of the incoming traffic to page A and 50% to page B. Both pages have a call to action, and in the end, you count how many people took the action. The page with more conversions (more people taking action) wins. Your goal should be to have at least one, and preferably several A/B tests running at any given time on your site. There’s nothing like the “perfect” copy or design. The only way you learn about what works and doesn’t work is to test continuously. You should a/b test almost everything on your website. It makes your website work harder for you. Buy now? Purchase? Check out? Add to cart? Change your CTA text on your buttons to see which word or phrase converts the most visitors. Vary the location of your CTA button—make some more prominent than others. Test different colors, shapes, and sizes for CTA buttons on your website. Test gated content against nongated content. Find out which gets more downloads and whether users are willing to fill out forms. Test how your content is displayed. Do users prefer to scroll down the page, or click through to another page to learn more? Test different headline texts. Try headlines that are more straightforward, goofy, or creative. Test paragraphs vs. bulleted lists. Test shorter vs. longer copy on your website, emails, and landing pages. Test different types of imagery on your landing page—people vs. products vs. illustrations are a good place to start. See how stock images stack up against images of your employees or customers in action. Test the order of your menu items in your site navigation. Test the display of your navigation bar. Do visitors prefer a horizontal or vertical orientation? Test the length of sign-up forms. Try a special offer, discount or promotion to increase signups. 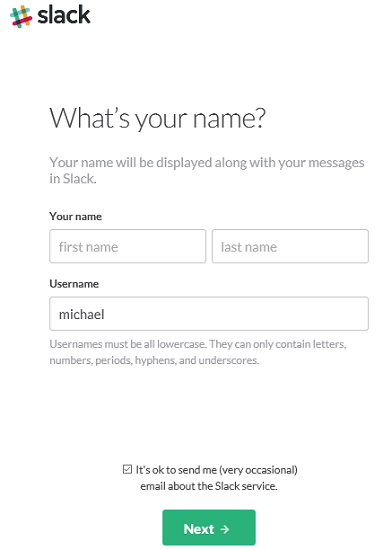 Try asking for different information in your form fields. Try different displays and navigation options. Blinds, buttons, and blocks are a good place to start. Test the headlines on your paid campaigns to see what gets more clicks. Try changing the display URL on your ad. Try different landing page variations— copy, image, CTA, and form. Change the size and placement of your social icons to see what compels users to share more often. 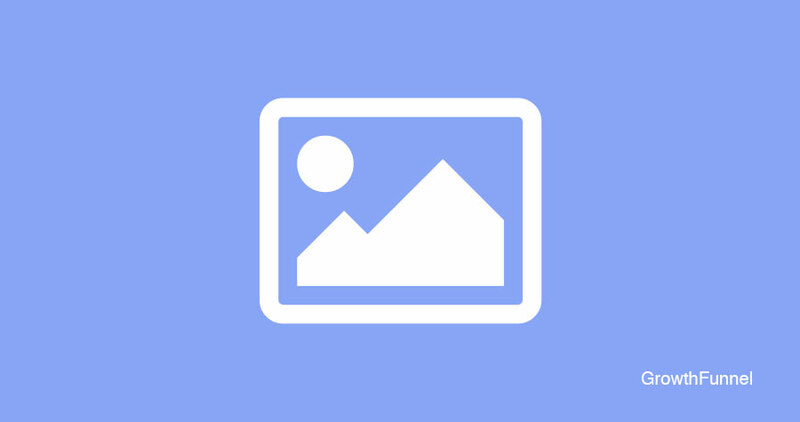 Test different images in social ads. See which ones get the best results. Test length and copy of your email subject lines. Test personalized vs. un-personalized emails by using the recipient’s name in the subject or email text. Find the optimal time to reach your audience by measuring open rates on different days of the week and at different times. Test different page designs and messaging for new vs. returning visitors. Test auto-filling form fields related to a visitor’s site location. Create seasonal or location-based offers and test them on visitors living in specific locations. Test a free trial offer vs. a free demo offer for short-term and long-term conversions. Test annual billing vs. monthly billing on your pricing page. Which generates more subscriptions? The potential of your conversion rate is determined by the value proposition, making it the most important conversion factor. Your value proposition could make of break your entire growth hacking funnel. Does your value proposition makes people want to use your product or steer them away? For example, Stripe has a very simple and straightforward value proposition that makes you want to use their service. It’s clear what it is and for whom. They also backed up their claim with relevant visuals. 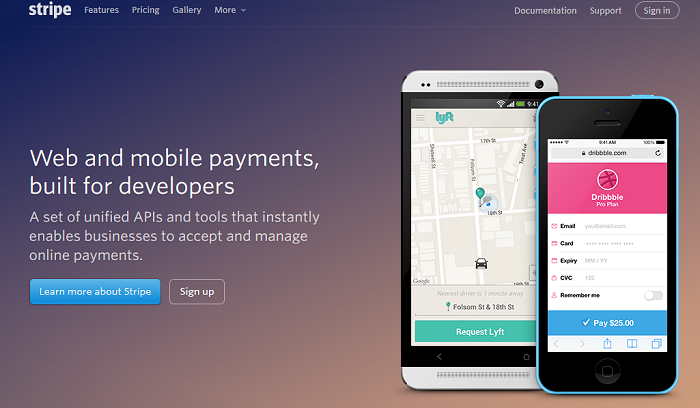 You can see the payment page of Lyft and Dribble who are clients of Stripe. You can also see the benefits users will get from their products. Evernote has a killer value proposition. Their slogan “Remember everything” is very catchy. CloudFlare has one of the worst value propositions I’ve seen. They rely on video to convey their value proposition. 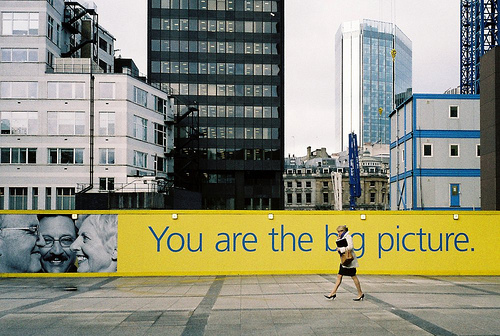 Your value proposition has to be in words people can read. Video is extra. They are countless of ways to supercharge a website. 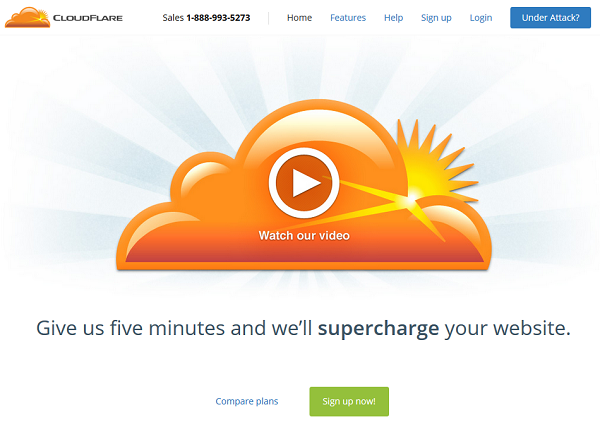 I bet that just by looking at their home page without watching that video, you still won’t understand what CloudFlare does. Just like everything on your website, you should test your value proposition too. I mentioned Evernote using the catchy phrase “Remember everything” as their value proposition. They are a/b testing other value propositions to see which convert visitors the most. Notice how the design and value proposition are now different? The use of big, long words could make you look smart, but does it help conversions? You’re free to write in 11th grade. If most of your prospects are in the 4th grade to 7th, then growth hacking is completely useless. Use simple words to convey your message. If your visitors can’t understand what you write, how are they going to convert? I felt lost because I don’t understand what they are talking about. I left the site immediately I saw this as it leaves me with more questions than answers. Do not try to woo people with fancy, complicated business language – it just doesn’t work. Write short sentences because they are easy to read. Objections are big stumbling blocks to making the sale. Whenever people read your offer, they will have friction. It’s normal. It’s your job to tell them why they should buy from you. The activate stage of the growth hacking funnel is where objections are mostly addressed. But some startups neglect this – they overlook objections. And that’s the reason they struggle to get the most from their growth hacking funnel. 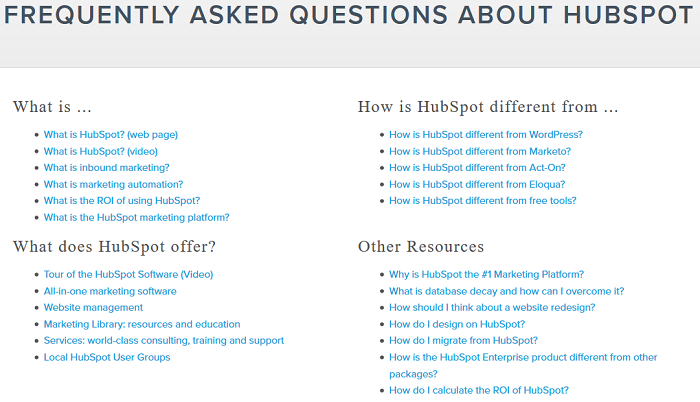 For example, HubSpot created a FAQ page to address every objection a prospect might have. 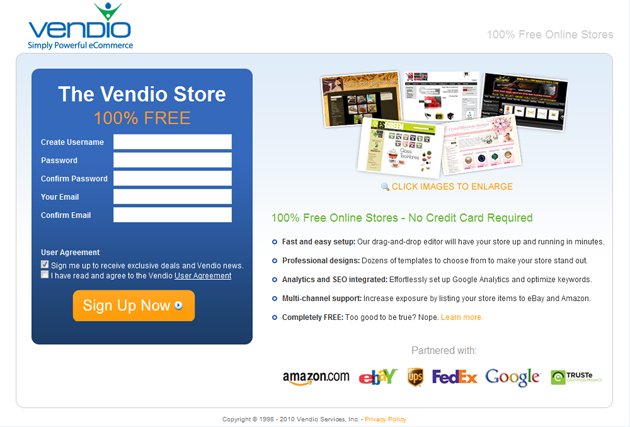 This page helps them convert more visitors into customers. Let’s say you’re walking down the street. A twentie-something dude comes up to you – “hey, are you interested in a new iPhone 5? I’ll sell it to you for $20”. He pulls it out of his pocket and it looks legit. What do you do? My guess is that you won’t buy it – even though the price is amazing and you know it’s a good product. Does it work? Is it stolen? What if it breaks the next day? You’ll get all these questions in your head and since you don’t know the guy, you’ll probably pass. If people don’t trust you, no matter how perfect your growth hacking funnel may be, you’ll still find it hard converting many visitors into customers. We can’t do much about the first 3 reasons, but we can build trust. Add trust elements to your website and see your conversions increase. What are the trust elements you can add to your website? 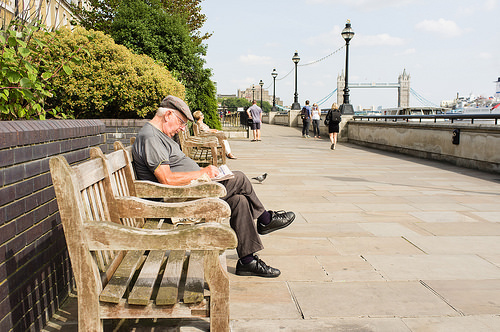 Web users have an average attention span of 8 seconds. You have to help them make a decision real quick before you lose their attention. You have to choose just one thing you want your visitors to focus on as soon as they arrive on your website. 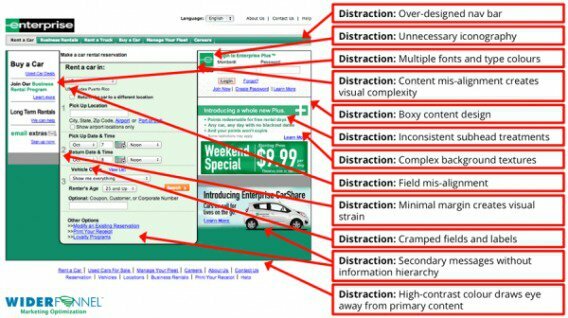 I’ve come across many web pages online that are full of distraction, and I bet it’s affecting their conversion rates. I’m sure that BuzzSumo’s most wanted action is “Start Free Trial!” for either the Pro or Agency plan. Unless the majority of their visitors have a $999 a month budget, that’s the best most wanted action. However, by making the Enterprise plan the contrasting orange color, they’re directing attention to it. When I landed on the page, I focused on the “$999” because it quickly captured my attention as it was different. Had I been an average visitor, I would have bounced off the page based on wrong assumptions. Unbounce pricing page displays 4 options. The option with the blue background stood out. I visited the Desk’s pricing page and their Pro plan immediately got my attention because it has a different color and a little bigger than the other two plans. 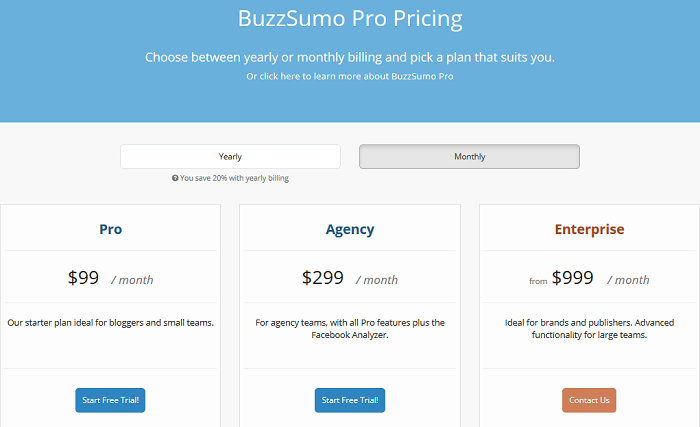 You’ll agree with me that Unbounce and Desk both have better pricing pages than BuzzSumo. BuzzSumo is filled with distraction. What do I really mean by distraction? It is when two or more things are competing for web users’ attention at the same time. So if your page has two or more call-to-actions, you have to ensure that one asks for more attention than the other. Distraction can also be when a large navigation takes up a lot of screen space. The presence of distracting fonts and colors is also a major issue. And when they are moving images that don’t lead to conversion. Now, let’s talk about attract. 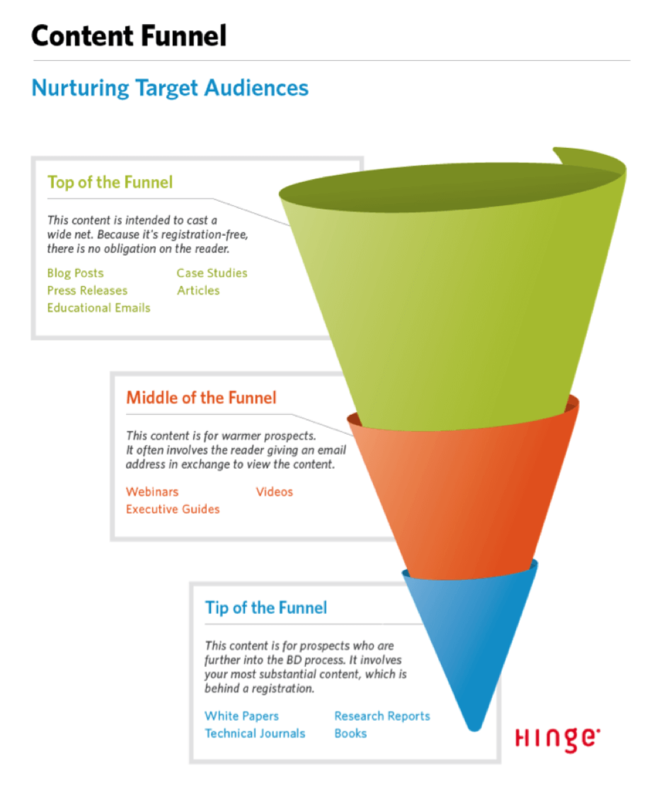 How can you attract visitors to the top of your growth funnel? Let’s expand on each one. The first way to get visitors to your site is to pull them in. This is where you give them a reason to come to you. You entice them, incentivize them, and draw them to you. This guide you’re reading is an example of pull marketing. We didn’t have to find you to visit this site. You’re interested in learning growth hacking. Pull marketing is a match-made in heaven for both visitors and you. Creating a giveaway for a specific blog that has your target audience etc. Push marketing requires a lot of reach and can be considered “interruptive”. Think about the ads you see when you’re watching your favorite TV show. That’s push marketing. Think about the ads you hear when you’re listening to your favorite radio show. Those ads interrupt your experience, and sometimes, they could be annoying. This tactic is completely different from pull and push. The ability to use the product itself to get new visitors is one of the most exciting aspects of growth hacking. Pulling visitors into the top of your funnel is good, and so is pushing them in, but there is something magical about using the product itself to drive growth. When done well, it can have a compounding effect which cannot be replicated with push and pull methods alone. 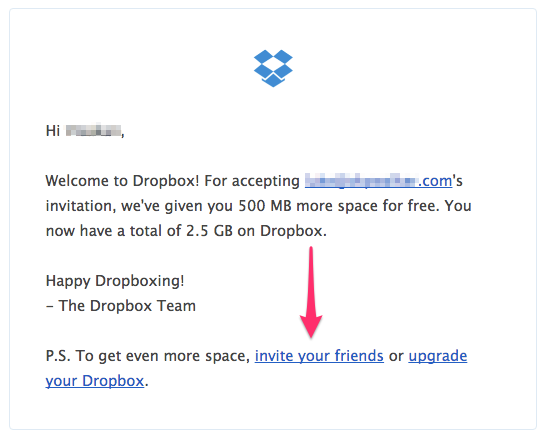 Dropbox became a successful company by asking their users to invite their friends on social sites. They also gave 500 MB for every friend you refer to them. Grammarly is another company that currently uses referrals to growth hack their product. Requesting or getting backlinks is another effective strategy for product marketing. Backlinks help increase your search engine rankings. For example, Campaign Monitor gets a link from their free users’ websites. Links like this will help the ranking of the Campaign Monitor website in Google search engine and others because they rely so much on links. Godaddy is currently using the backlink strategy for their SSL Certificate page. The more links you have, the higher your site will rank on search engines. So integrating SEO into your product is an effective growth hacking strategy. There’s also the API integration strategy. You can easily integrate your app or product with an existing social network at the API level. A great example of this is Spotify. 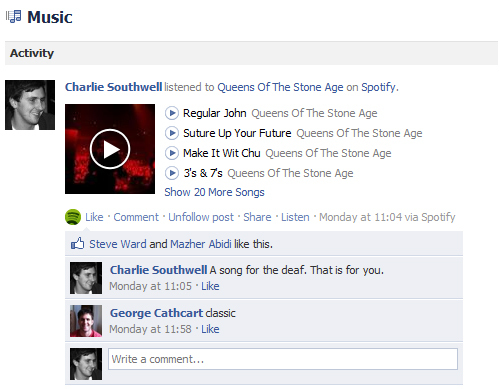 It’s no secret that Spotify heavily used Facebook to grow their product, and they did so through an API integration. Once you login to Spotify using Facebook Connect and give Spotify the needed access, then your activity on their service is automatically published to your Facebook feed, and it’s also published inside of the Spotify app to anyone that you are connected with on Facebook. These are done completely in the background, which creates frictionless sharing that can only really happen through an API integration. Now that you’ve learned how to attract visitors using the pull, push and product tactics, it’s time learn how to convert them into customers. One of the most common problems that online business owners, sales team, and marketers have is turning their website visitors to customers. That is what makes them effective for conversions. Landing pages easily generate the high-quality leads you need. They also give your offers a place to live, rather than having them scattered across your website. In fact, landing pages also tell you which prospects are more engaged on your website. Headline: The headline is the first thing visitors will likely see when they ‘land’ on a landing page. Social Sharing Buttons/Links: These links enable visitors to easily share a landing page with their connections on social networks like Facebook, LinkedIn, and Twitter, extending the reach of your landing page beyond your own network of contacts, fans, and followers. Hidden Navigation: A landing page on which any top/side navigation bars are hidden will minimize distractions, reduce friction, decrease a landing page’s bounce rate, and increase the chances that visitors will stay on the page and convert. A clear call-to-action: Your CTA is the button that would spur visitors to take action. Image: Landing pages that include a relevant image give visitors a tangible idea of what they’ll receive and make landing pages much more visually appealing. The key is that customers want someone who can immediately walk them through a sale if they become confused or have a question that can make or break a sale. This helps eliminate bounces away from your site and ensure that customers make it through the end of the checkout. No matter how perfect your check out is, some people will quit during the process. It’s just the fact. They are various reasons why someone might quit the checkout. It could be that they are extremely busy, so they move on to other important tasks at hand. It could also be that they received an important message that demands their attention. It could also be that they are not 100% yet convinced about your product. Remarketing provides a way out. It lets you get in front of these people so that they can finish the actions they’ve left. For example, you can use remarketing bring back people who have visited your blog post or landing page but didn’t download your free e-book. Roel Manarang wrote a blog post where he shared how he helped a client increased conversion by 47% creating retargeting ads on Facebook. He only spent $56.23, and the Facebook ad campaign produced revenue that ranged from $6,500 to $11,000. Retaining customers is more tricky than attracting and converting them. To retain customers, you’ll have to be extremely extraordinary. The first step to building better customer retention is to set client expectations early. The earlier the better. Don’t wait. How do you set customer expectations? “A great way to foster loyal customers is to “under promise and over deliver” on the expectations you originally laid out in the SLA. For instance, Datto states in its customer SLA that any ticket submitted with an “urgent” priority will be replied to within one hour. People love associating themselves with the experts. If you aren’t the top expert in your industry, you’ll be losing a lot of your current customers. The best way to become an expert is to regularly publish educative and interesting contents for your customers to read. Even a multibillion dollar company like Google maintains a blog where they educate their customers. These pillars are very crucial to retaining customers. Think about things that would delight customers. Introduce features that would make your product easier and faster to use. Then deliver a remarkable customer service your competitors can’t beat. When you do all these, you’ll become a growth hacking pro.